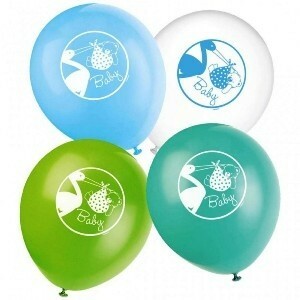 A pack of 8 blue, green and white stork themed latex balloons. They are suitable for both air and helium filling. They are new to Babies Babies.